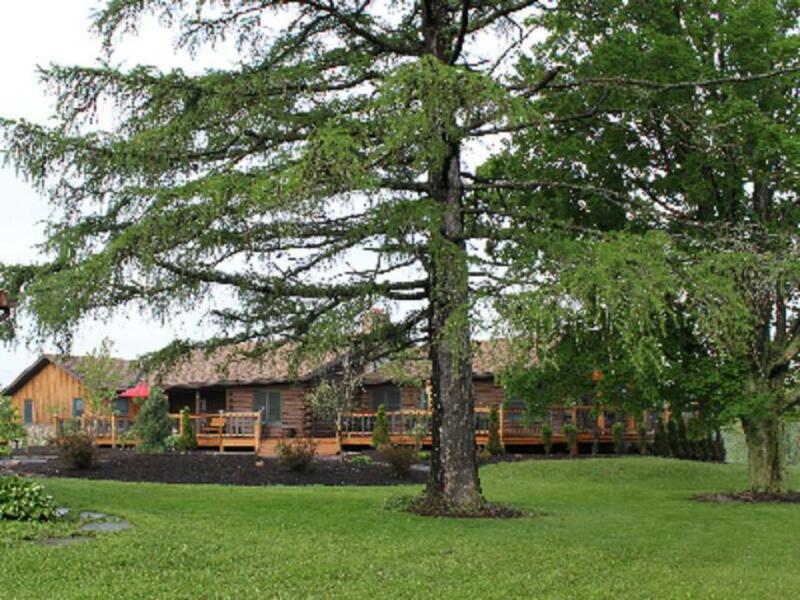 Life is good, every day, all year round at our three Bear Lodge locations (Bear Mountain, Bear Meadows & 131 Main)in charming Wellsboro, gateway to Pennsylvania’s Grand Canyon and the PA Wilds. 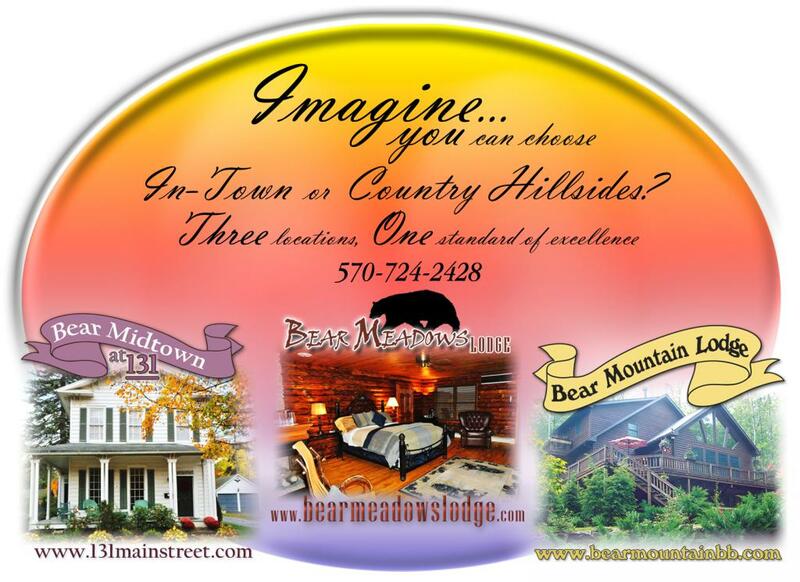 Bear Mountain Lodge with 4 Rooms (Wilderness, Bear, Whitetail & Canyon) is 6 miles from Wellsboro, tucked in the woods a little. Bear Meadows Lodge with 4 Rooms (Headwaters, Wilds, Mountain Breezes & Hideaway) with beautiful mountain views is less than 2 miles from Wellsboro. 131 Main with 2 Rooms ( Gaslights & Wellsboro) with a front porch to relax on and you can walk to downtown Wellsboro. We offer a one-of-a-kind getaway experience with elegant rooms, suites, some of our rooms have private hot tubs on private decks and more! To see detailed descriptions of each of our rooms, more photos and links to area activities and travel information please see one of our websites or call us 570-724-2428. You will receive a detailed confirmation from us with address and check in directions.